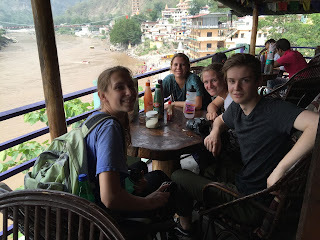 After an early morning wake-up, we boarded a bus and departed for Rishikesh. During the drive, we were completely engrossed by the different scenery outside of our windows which consisted of various cities and towns. At one point, we looked out and realized that the windy road we were on was built on the side of a cliff overlooking a dried out riverbank. Although there was no water in sight, we saw many white jeeps driving by with rafts tied to their roofs. 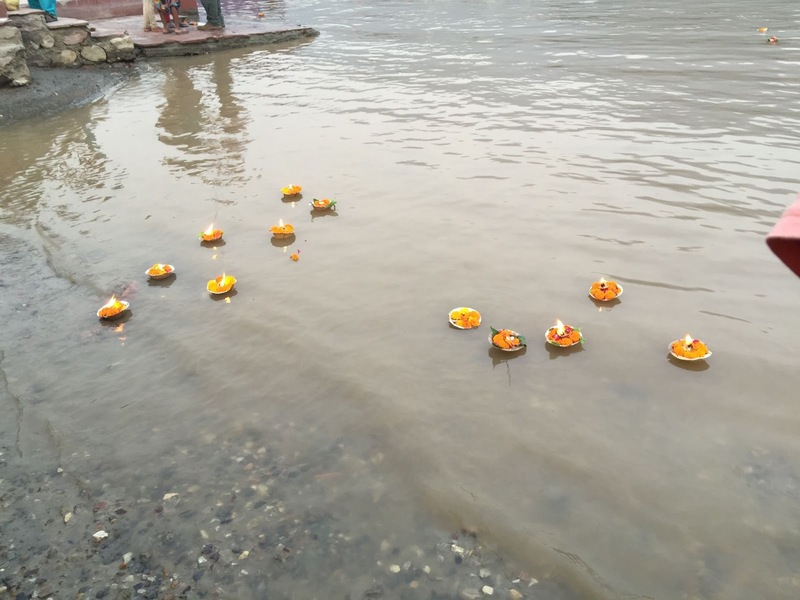 This was a good sign that the Ganges was near. 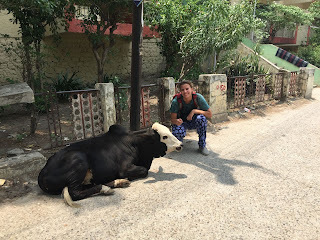 After a mysterious 20-minute wait on the side of the road, we pulled into a small dirt lot, packed up our belongings and began our walk to the smaller cars that would take us up to a waterfall. Along the way, we passed groups of people and hogs as we wound our way through the foot, bike, car, dog, and cow traffic on the road. We crossed over the Ganges via a small suspension bridge that was about 5 feet in width. The water was brown and muddled with pollution, but the view was beautiful nonetheless. After a bit more walking, we boarded 2 taxis that carried us up the side of a steep mountain, part way up to the waterfall. We unloaded and climbed the steep hiking trail. About 30 minutes in, just as many of us were ready to give in and turn around, we reached the beautiful clearing with water raining down from the rocks. 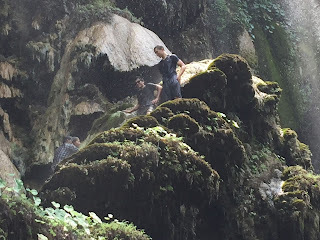 In no time, we had removed our backpacks, socks, and shoes, and climbed up various moss-covered rock faces, joining other visitors enjoying the beautiful gift from nature. 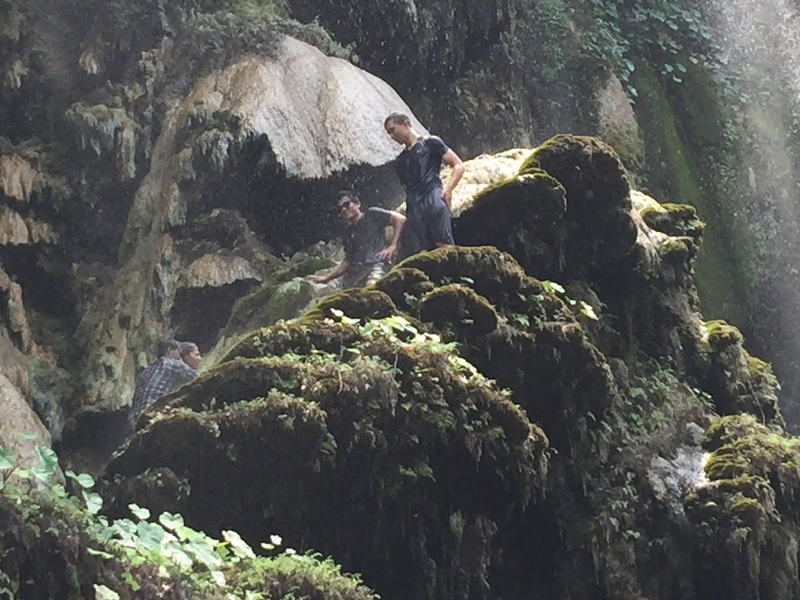 Emerged in natural pools of water and standing under the clear waterfall, we acknowledged that it was worth the sweaty hike. With clothes soaked and smiles plastered on our faces, we snapped a few photos and made our way back to the cars. 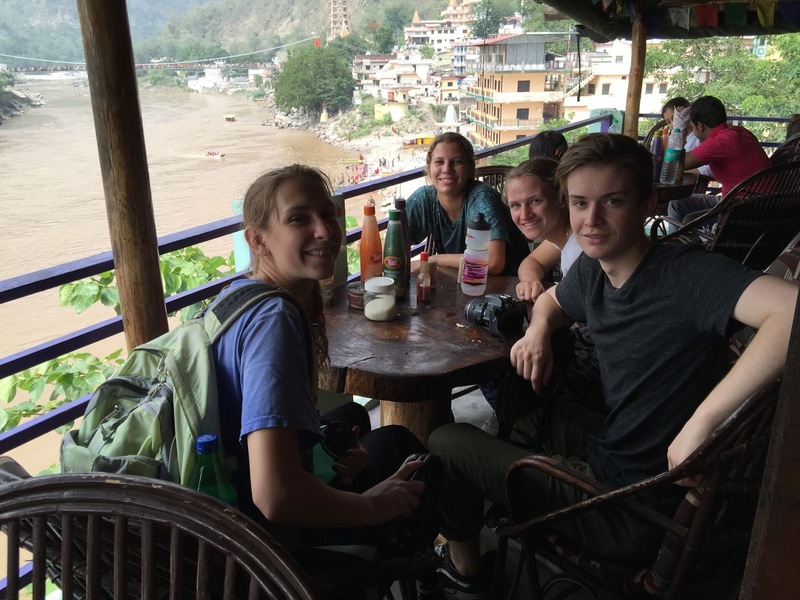 The drivers took us down the mountain to enjoy a classic lunch at the Little Buddha Cafe, which had a breathtaking view of the Ganges. As we ate, we watched families swimming and rafting by. 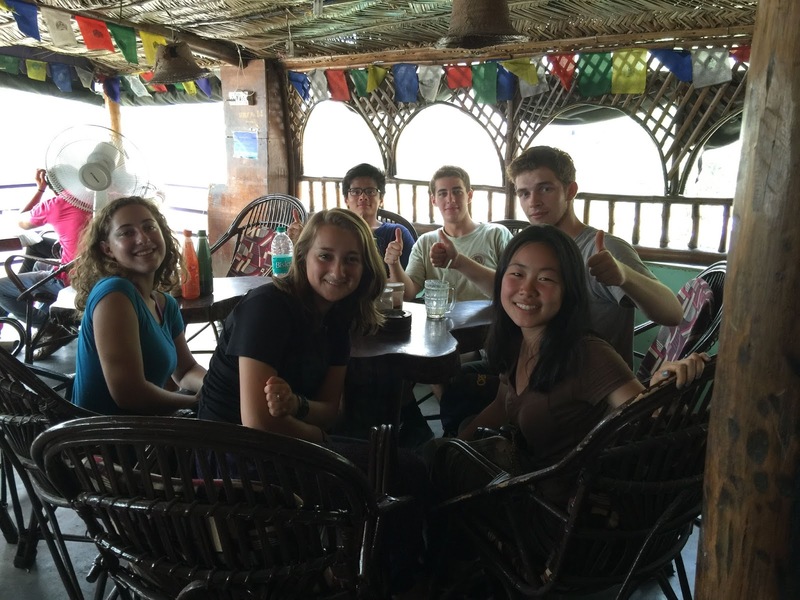 In the afternoon, we split up into smaller groups and shopped for souvenirs and merchandise. We found elephant pants, scarves, printed t-shirts, jewelry, and small statues. 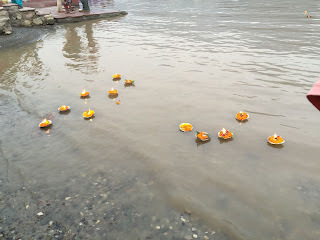 Afterwards, we crossed back over the bridge and stopped to place small flower cups with candles into of the Ganges. It was dark by the time we drove back. We ate noodles and dumplings the kids had prepared for us, showered, and retired to our beds. Thank you, Indigo! love the update and photos!